Texas health department officials rushed Wednesday to assure people that prisoners won't receive the H1N1 vaccine before the public. Texas health department officials rushed Wednesday to assure people that prisoners will not be receiving the swine flu vaccine before the public. The statement came one day after Texas prison officials said that thousands of high-risk convicts may be vaccinated against the swine flu ahead of the general public as soon as next week. Michelle Lyons, Texas Department of Criminal Justice spokeswoman, said more than 45,000 convicts have been targeted to receive the vaccine. "We have a number of the high-risk groups in prisons -- pregnant women, people with immune deficiencies, with other serious health issues," Lyons said. "In some respects, we're like a nursing home or a college dorm. If the flu were to get started in this environment, it could spread quickly." But the state health department now says that it is unclear when the state will be able to fill those requests. The department said Wednesday that the state has not allocated any H1N1 vaccine to prisons at this time. Prisoners are not a priority group to receive the vaccine and will not be vaccinated ahead of the general public, the department said. The plan to deliver the doses to prisoners ahead of the general public drew outrage across Texas. "I can't really see a legitimate reason that our inmates are getting it before physicians and children and people who are pregnant," parent Michelle Spak said. Eric Willer, also a parent, said prisoners should not have "preferential treatment over the rest of us." But Linida Willer said vaccinating prisoners first could help her decide whether or not to vaccinate her child. "I would rather use them as a guinea pig and see what happens to them, because I'm not emotionally attached to the inmates," she said with a laugh. Texas is initially targeting the groups most at risk, including pregnant women. Health care providers who serve pregnant women in prisons have requested vaccine from the Texas Department of State Health Services. The vaccine also will go to more than 40,000 correctional officers and medical personnel who work with the prisoners. 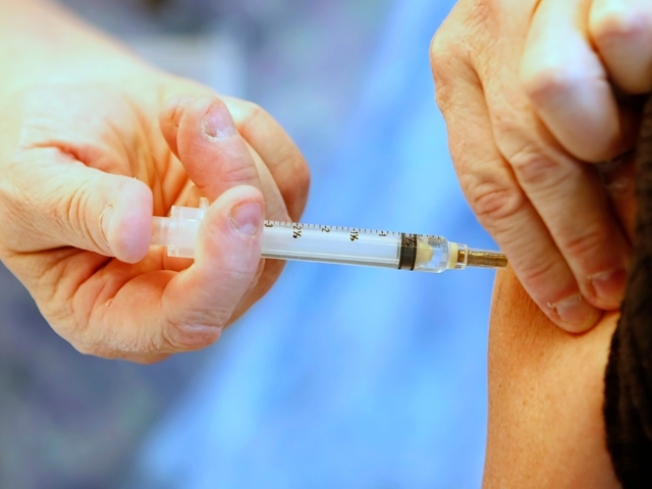 The decision on who gets the vaccine is set by a distribution policy established by the U.S. Centers for Disease Control and Prevention, Lyons and officials with the state Department of Health Services said. Under that policy, the initial target groups to receive the shots when the vaccine is first available include pregnant women, health care providers, emergency services personnel and people with medical conditions that put them at highest risk should they get the flu. "We have been told that we will start receiving doses by around the first of November in lots of 25,000," Lyons said. She said the prison system has asked for more than 158,000 doses of swine flu vaccine to inoculate all convicts in state prisons and state-contracted private prisons.